Aelita has been brought to life with resounding success and now the time to destroy Xana has come! But when Jeremy pulls the plug, Aélita faints, much to their surprise. The destruction of the super-computer is put on hold, and, following a short inquiry, Jeremy discovers much to his dismay that Aelita has been infected with a virus that binds her to Xana! 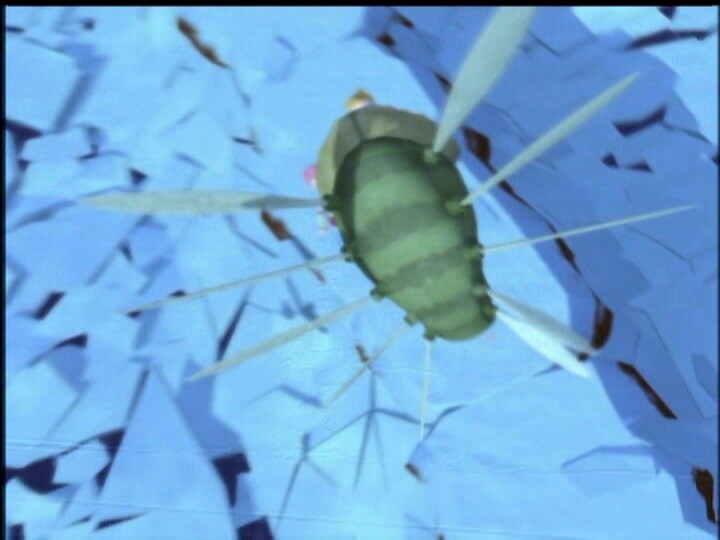 If Xana were to be destroyed, Aelita would certainly be destroyed along with him … They must accept the truth : Aelita must return to Lyokô until Jeremy finds an antidote to the virus… Meanwhile, our heroes on Earth have to fight the Kankrelats : Xana has found a way to send his troops to Earth! Tough day at school for our heroes ! Once at the factory, the trio discovers that Jim has been fighting and has already destroyed a number of the mechanical monsters…Odd finds a nail gun on the floor. He takes it and the three go down to the scanner room. Jeremy debugs the infected scanner used in the attack while Odd helps Jim kill the last of the cockroaches. Before going to the other world, he hands him the nail gun so that Jim can go help Yumi and Ulrich at the school. - Attack: Materialise a group of Kankrelats on Earth. This is the first time XANA materialises its monsters. - Return to the past to repair the damage caused by the Kankrelats and erase memories. - Aelita can’t live on Earth and XANA can’t be destroyed because it implanted a virus in Aelita which links them. The death of XANA means the death of Aelita. The young girl will need to stay on the virtual world while Jeremy researches an antivirus. 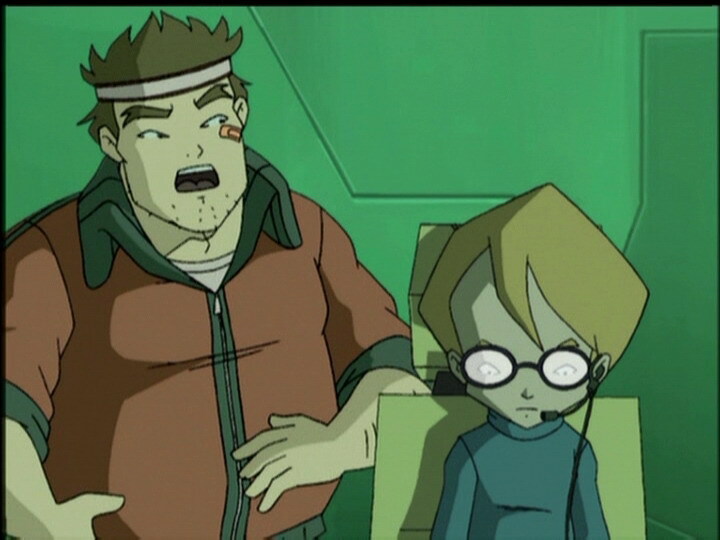 - Jim forgets everything he discovered about the kids, the lab and Lyoko after the return to the past. - First time Aelita is virtualised by Jeremy. - Yumi says that Jim is a hero and their favourite teacher. - The buttons on Aelita’s vest disappear in certain shots. - During the flashbacks from “Code Earth,” Jim’s band-aid is on the wrong cheek. - The door to Jeremy’s room is green instead of grey when Jim interrogates the heroes. 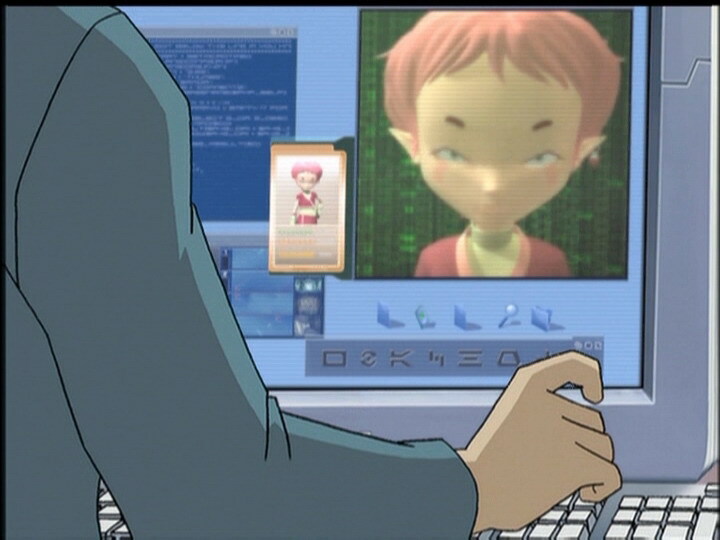 - The microphone on Jeremy’s computer disappears from Jeremy’s ear when Yumi tells him Aelita could come to Earth for an hour or two. - The factory microphone is in Jeremy’s right ear after Jim asks if there’s anything they can do about the virus. - After the students seek refuge at the back of the classroom and in the following shot focusing on our heroes, the contents of the table disappear. - The principal’s eyebrows and moustache are grey when he asks our heroes to return to class. His eyebrows are grey when he fires Jim. - When Aelita, Jeremy, Ulrich and Odd enter Mr Fumet’s class, we can see Milly, Tamiya, Veronique Fayolle, Sandra Dialo, Anouche Bedoyan et Julie Vigouroux of year 6, Emilio Rodriguez, Mohamed Kantaoui, Lola Kieffer et Pierre François of year 7. 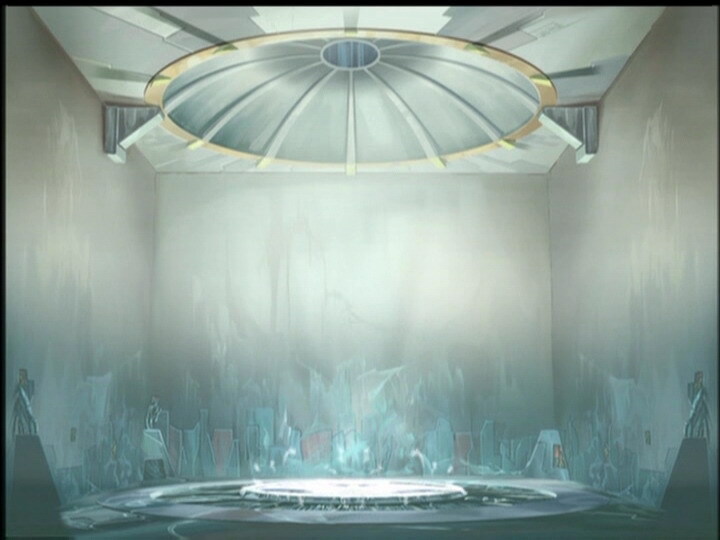 - It’s confirmed that on Lyoko there’s no air to breathe, no smells and no warmth. 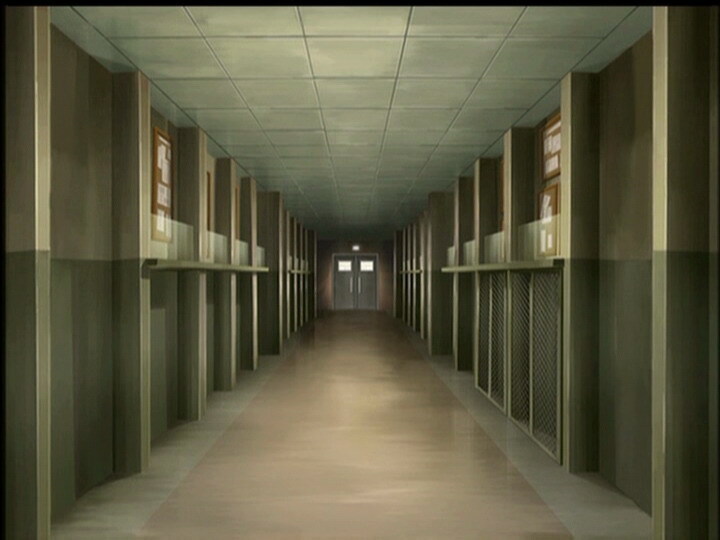 - The episode begins with a series of flashbacks from episode 25, “Code Earth”! - First time XANA materialises its monsters. 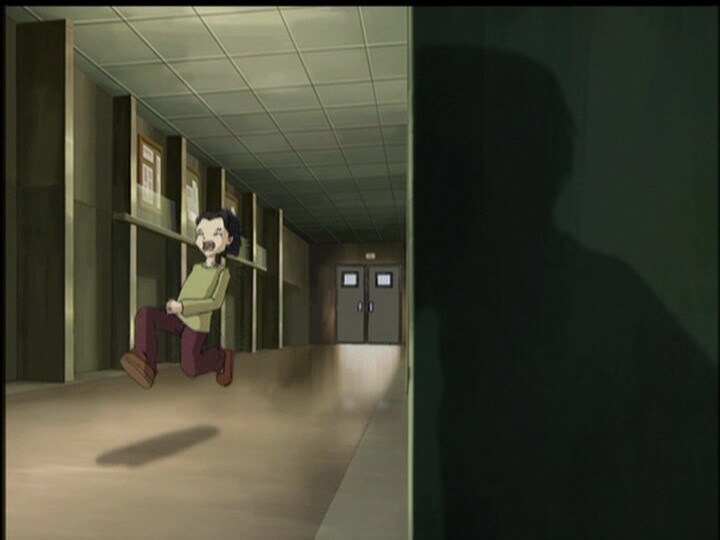 - First time the Supercomputer is turned off, resulting in Aelita's heart failure. - Kankrelats leave the factory, despite having no way to activate the lift. - Aelita says a precognitive sentence to Jeremy: "Think of all the other monsters XANA could materialise!" 13 episodes later, XANA materialises Krabes on Earth. - Jeremy doesn’t have a sprained ankle like in the previous episode, despite Yolanda having said that he can’t walk on it for a week and there being no return to the past at the end of “Code Earth”. - Jim tells the kids to call him Jimbo because of the French and English scripts not matching up well. In the original French, they refer to Jim as Sir or Mr Morales like any other teacher. Since they call him Jim throughout the season in the English dub instead, they used the name Jimbo for a more familiar thing to call him. “Kankrelats approach Jim who, kneeling, exhausted, waits helplessly. However, he calls out to stop them from pursuing some students. Jim: What’re you waiting for? Come on, you think I’m all washed up? Maybe I’m just pretending! Jim raises his head and watches a cloud in the sky. - Jim makes an impressive entry crying “Banzai”. This refers to the warrior cries the Japanese used during World War II against the Americans. His attitude is similar to the kamikazes who performed raids. Jeremy: Hey, relax Aelita, don’t worry! It’s just a history class. 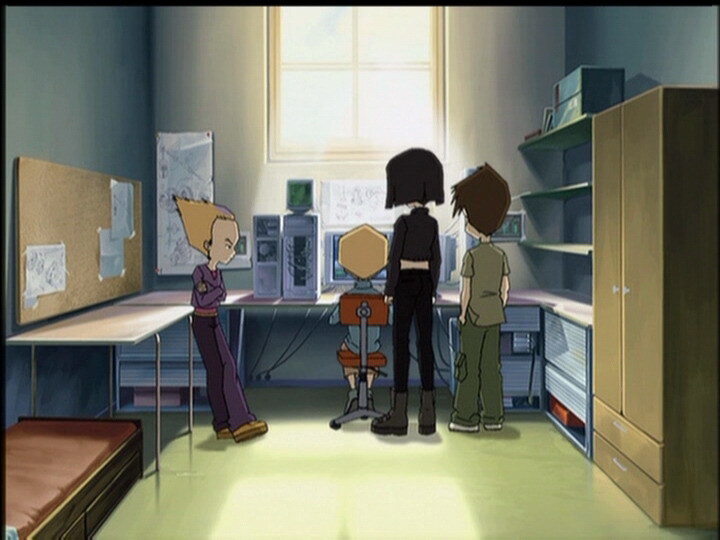 Aelita: I’d feel a lot better if it were a class on computers. I don’t know anything about history! Ulrich: That’s just it; you’re here to learn! If it were a computer class, you could be the teacher! Sissi: Hmph! Just who does that new girl think she is? All she cares about is having boys around her! Nicolas: Actually I think she looks worried! Sissi: Obviously Nicolas you don’t know the first thing about girls, hmph! Acting frail and helpless will work every time! Boys love it, it’s the best way to attract them! Yumi: Hey, guys! Well how’s our new Earthling doing? Jeremy: It’s about time we deactivated the Supercomputer, don’t you think? Ulrich: Well I wouldn’t wait for XANA to send us an invitation. 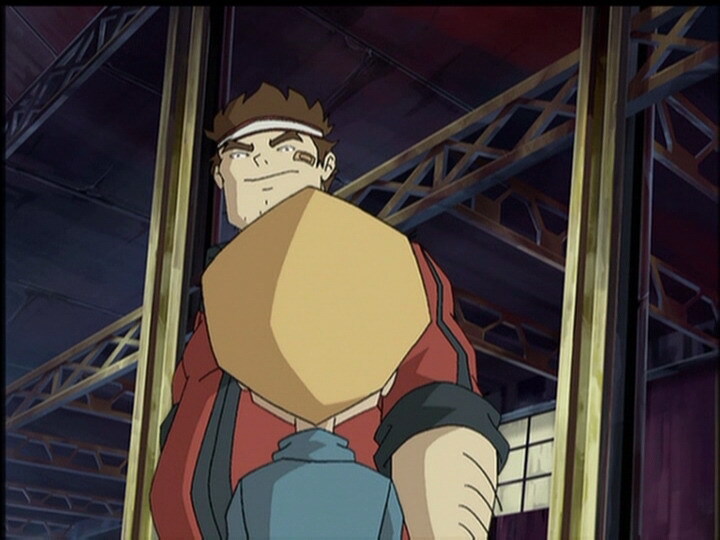 Odd: And who feels like going back to Lyoko now that Aelita’s here with us? Ulrich (to Jim): Hi Jim! Well, did you have a good sleep? Odd: How’d you like to watch us deactivate XANA? Jim: Hm, ah, I wouldn’t miss that for the world! Jim: I can’t wait ‘til all this is settled! I honestly never imagined that I would miss being your PE teacher so much! Uh, from now on, call me Jimbo, huh? Jeremy: Thanks! So are you ready to go, Jimbo? Jeremy: XANA! 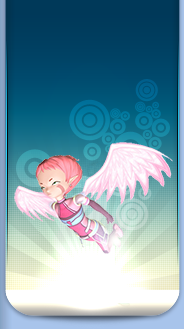 You gave us a lot of grief, but thanks to you we met Aelita…so goodbye and good riddance! Aelita: It looks like XANA infected me with a virus! Jim (uncomfortable): Uh…is there anything we can do? Aelita: Wow, it’s wonderful to be alive! And it’s thanks to you that I’m here! Aelita (taking about a photo booth): What’s that? A scanner? Jeremy: No, not exactly. Follow me! Jeremy: Well, your castle awaits you, Princess! Aelita (smiling): Thanks for walking me back. In spite of the virus, I still had the most wonderful night of my life. Goodnight. Aelita: Sleeping is really wonderful! Yumi: She would’ve slept all day if I hadn’t shaken her a little! Odd: You’re just like me, Aelita! And you’ll see, sleeping in class isn’t too bad either! Sissi: Well, uh, a pair of prime numbers is, uh…um…two numbers that are both the same! Aelita: A pair of prime numbers occurs when their highest common denominator is one! Aelita: In a principal ring, it’s equivalent to the fact that their direct sum is equal to one, but of course with a non-principal factorial ring, that is not the case. That is…according to the theory of Bézout, you see! Jeremy: XANA’s changed tactics! He’s sent one of his monsters to Earth for the first time! How did he manage that? Odd: Who cares? The problem is, how do you suggest getting rid of him? Ulrich: Like we always do, we fight them! Yumi (after saving Ulrich from a Kankrelat): What would you do without me? Odd (contemplating the Kankrelat wreckage): Wow, Jim gave them a good run for their money! Jim: Yaaah! You miserable little monster! I’ll make you think twice before you leave your world again! Jim (impaling a Kankrelat): I told you to call me Jimbo, remember! Aelita (rubbing her backside after landing on it): It’s strange being virtualised! Odd: Yeah, but you get used to it! Aelita: No air to breathe, no smells, no warmth, nothing! I miss the real world already! Yumi: Ulrich! We’re never gonna make it! Jim: Banzaiiii! Yaaaahahaha! Take that, you cockroach! Yeah, got one! Say your prayers! Ulrich: There’s something I gotta admit, Jim! This is the first time I’m glad you caught us by surprise! Jim: My friends call me Jim-bo! Got it? Jim: It takes a lot more than a few ugly monsters to beat your friend Jimbo! Odd: I don’t believe it! I’m out of arrows! (Shot by laser) Bye bye! Jim: So, still haven’t had enough huh? Hahaha… Hey you creeps, over here! I’m ready, come on! Ulrich: You can do better than that! Ulrich: There, that’s more like it! Yumi: It’s all in the wrist. I’m a great Frisbee player! Ulrich: Come on Aelita, you know we would never let you go it alone! Yumi: Hey, we can’t let the school go it alone either! Jim: Leave those kids alone! Jim: Come on you bedbugs, gimme all you got! Go on, huh! Is that all you got?! Jim: What’re you waiting for? Come on, you think I’m all washed up? Jeremy: Aelita! We’re restarting the materialisation program immediately! We’ve gotta wipe out XANA before he launches another attack! 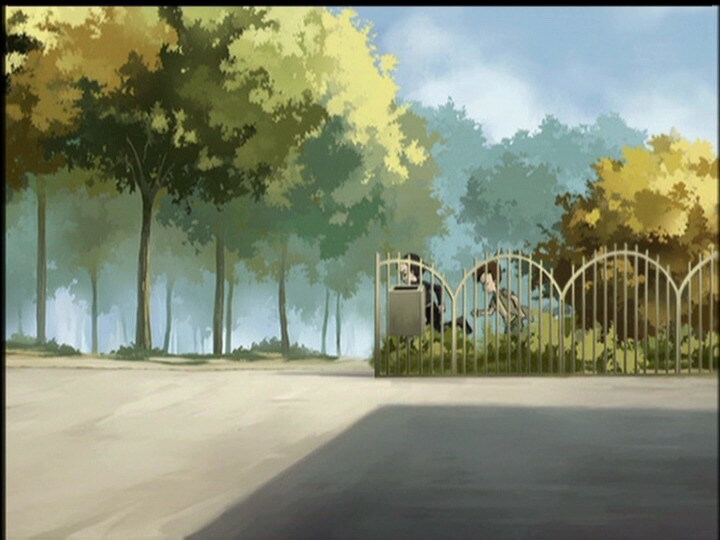 Aelita: Jeremy…it’s impossible. The virus is still in me, I can feel it. Jeremy: We’ve still gotta try it! Maybe you can be treated here on Earth! 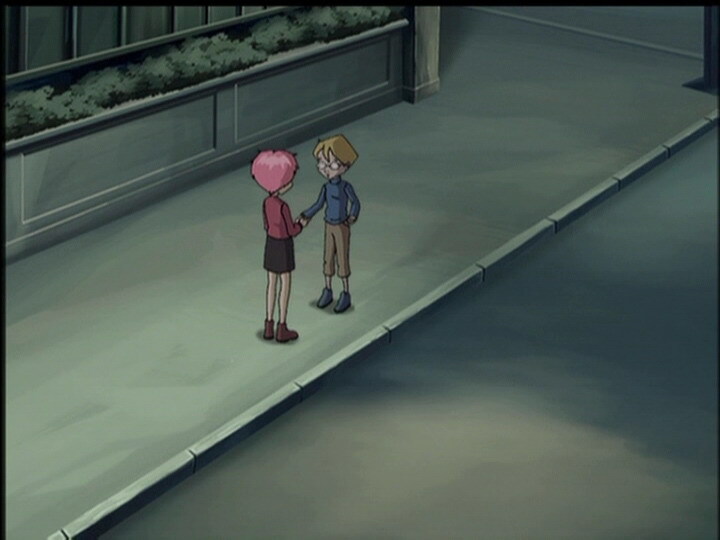 Aelita: No, Jeremy. You know that as well as I do. As long as this virus is inside of me you can’t destroy XANA without destroying me at the same time! Yumi (comforting): We could materialise you for an hour or two…so you could pay us a little visit, huh? Aelita: Why not? 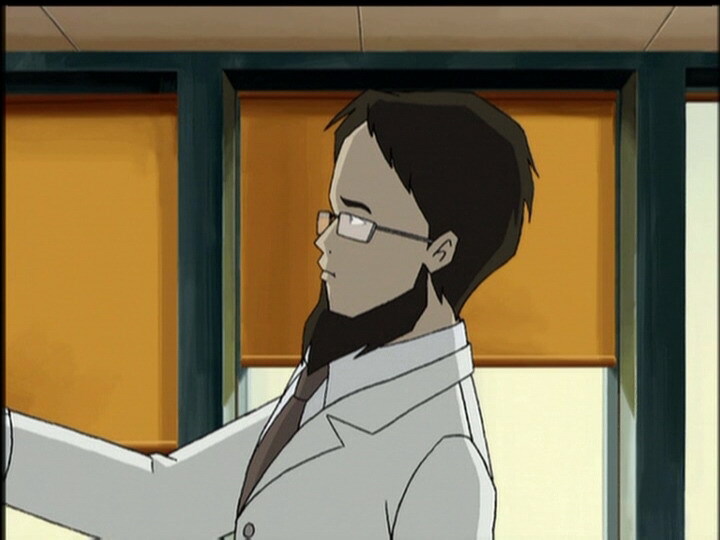 But the rest of the time I’ll have to stay here on Lyoko to fight XANA…until the day you find the antivirus. Jim: Well you made up one heck of a story, kids! But why did you get me off the hook? Jeremy: Well it’s just that…you never know, one day you might do the same for us. Ulrich: And you know, we never get the time to thank you for all you’ve done for us. So thanks a lot, Jimbo! Yumi: You’re a hero! And a fantastic PE teacher, Jimbo!